The Mildura Central Walking group is an indoor community walking program which is led by a Physiotherapist, Allied Health Assistant or Exercise leader, at Mildura Central, 15th Street Mildura on a Tuesday and Thursday morning from 8am to 9am. How can the Mildura Central Walking help you? This walking program provides you with a gentle warm up and the ability to walk at your own pace in a climate controlled, flat and safe environment. There is an opportunity to hear about health and well being events that are happening in the community and join with other group members to have a coffee or a chat following your walk. 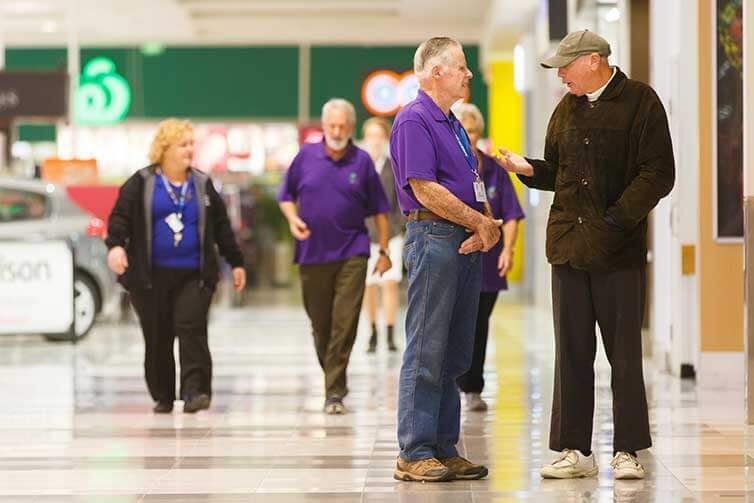 The Mildura Central Walking group is an indoor community walking program which is led by a Physiotherapist, Allied Health Assistant or Exercise leader. It includes a gentle warm up and the ability to walk at your own pace in a climate controlled, flat and safe environment. Everyone who can walk around an indoor mall complex. No Appointment necessary, just come along.